It was not a fast read! Each chapter took a while to get through and seemed to encourage pondering. As a longtime supporter of Bush, I was surprised to find I disagreed with some of his decisions. Yet, overall, I was encouraged by his prayerful, honest approach to the decisions that faced him as president. Reading his book motivated me to think about the decisions in my life and my approach to them. It encouraged me to be a better person. I felt the responsiblity he felt and I appreciated his humbleness in admiting mistakes. He seemed like a guy I'd like to know personally and someone I would trust to run our country. 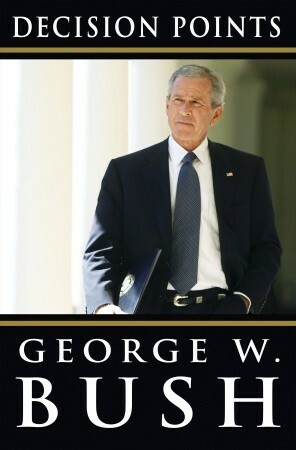 I also loved getting the inside view of world politics through Bush's eyes. To hear his opinions and assessments of other politicians and world leaders. To see how and when issues were brought to him. And, to get a better sense of who he is/was as a person. It is odd now that time has passed to remember the hurtful (and untrue) things people said about Bush when he was president. Perhaps now that we've all experienced the "hope" of Obama, we can appreciate what we had. And pick a good president next time around. Sign into Goodreads to see if any of your friends have read Decision Points. I enjoyed your review and especially appreciate the last couple sentences. Couldn't agree more! what according to you didn't make it a fast read ? difficult words ? and what is the fastest reading book accoring to you ?